Hot, medium, mild, bbq, drums or flats…whatever you’re craving The National Buffalo Wing Festival is sure to satisfy. One of the country’s most beloved food festivals returns to Coca-Cola Field in Buffalo, New York Sept. 2-3 to celebrate its 16th year. The festival, which attracted 70,000+ attendees from all 50 states and 46 different countries last year, will feature more than 30 local, regional, national, and international eateries dishing up over 100 styles of chicken wings as well as other festival favorite foods! 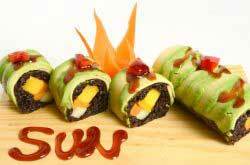 “Last year, we added many new features to the festival that were big hits with the crowd. This year we are fine-tuning and expanding the offerings” said “Wing King” and festival founder, Drew Cerza. Sounds good to us! In addition to the food frenzy, festivalgoers can enjoy a weekend packed with activities ranging from competitive wing eating contests, amateur cook-offs, pageants, music, children’s entertainment and the ever-popular “Bobbing for Wings” competition (we’re talking gallons of blue cheese dressing and contestants wearing goggles…seriously. See the gross pics to prove it below!). Saturday night will feature country music singer/songwriter from Nashville, by way of Buffalo, NY, Eric Van Houten. Eric has been performing and writing for almost 10 years now. His set will start at 7:30pm. Country band Ransomville will open the show. 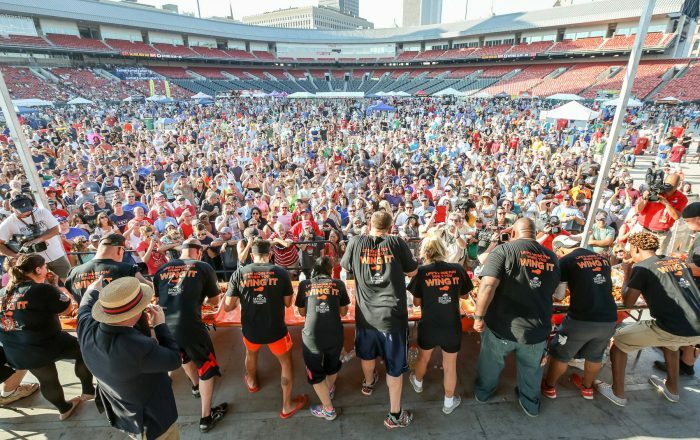 The Wingfest welcomes back the Buffalo Ninja Challenge and these competitors are no. joke. Building on NBC’s wildly popular American Ninja Warrior series, the National Buffalo Wing Festival will now offer those who think they’ve got what it takes the experience of becoming the ninja warrior on this very unique course. New this year, all attendees can attempt the course for a $5 fee. The Buffalo Ninja Challenge is open to both kids and adults looking to compete on a five-station obstacle course—just like the ones seen on TV. Buffalo’s own American Ninja Warrior, Patrick Hall (Season 5), will serve as the host all weekend long. 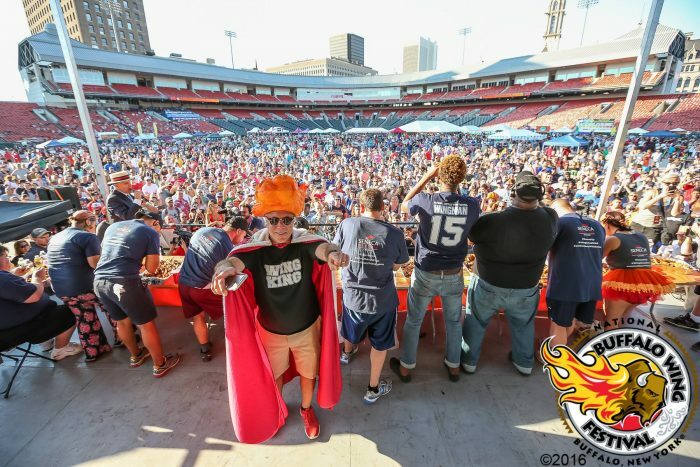 For guests looking to upgrade their Buffalo Wing Festival experience to VIP, organizers are proud to present the VIP Party Deck located on Coca-Cola Stadium’s right field stands. “This is a great way to experience the National Buffalo Wing Festival in style,” Cerza said. “And, we’ve made it easy to become an Official Festival VIP by offering online ticketing.” Plus we can you tell from experience…you can’t beat the view! 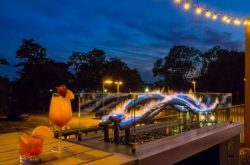 For just $30, guests can get the royal treatment with festival admission, private seating, a free beverage, free wine and spirit sampling, private VIP cash bar, a commemorative “Wingfest Great Plate and cup,” $5 off a festival t-shirt, and an official Wingfest VIP badge. New this year will be chicken wing offerings right on the party deck for VIP’s convenience. Let the sun shine! Again this year, the National Buffalo Wing Festival will offer guests the opportunity to enjoy their wings from underneath a large tent that stretches from 2nd to 3rd base thanks to the generous support of Northtown Toyota. The Rest n’ Place On-Field Seating will extend from third base to second base on the main infield and is open to all festivalgoers. Cool off! The record summertime temps will be no match for festivalgoers this year, as the event will feature a 20-foot by 30-foot misting tent sponsored by Northeast Mechanical. Now in its second year, the Chicken Wing 5K in downtown Buffalo on Sept. 3 at 11 a.m. Sponsored by Buffalo News, the race takes runners on a scenic 3.1-mile circular route that winds through downtown Buffalo and beyond. (View race map here) “Our race route takes participants through the Inner Harbor—an area that perfectly blends the beauty of old Buffalo with the promise of the city’s future,” Cerza said. 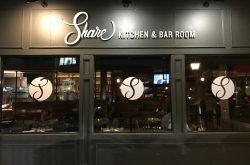 “The 2017 lineup of restaurants and eateries is shaping up to be impressive with five new restaurants coming in from as far as Portland, Oregon. 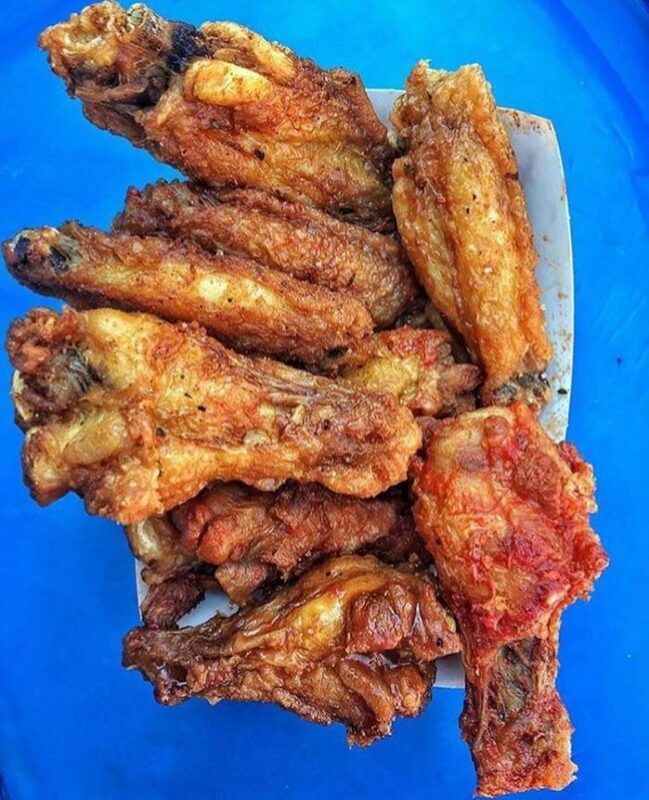 Twenty-Eight (28) food booths including 19 wing eateries will be serving over 100 different styles of wings as well as additional “Buffalo Style” favorite foods. From the classics to the most creative, #WingFest17 is covering all of the bases at Coca-Cola Field. Several years ago, the festival started the tradition of welcoming an international wing vendor to highlight the explosion of the Buffalo chicken wing around the globe (last year’s was from Australia). This year, the festival welcomes “Wings Army” all the way from Mexico. The wing restaurants will compete in the annual National Sauce-Off Competition for bragging rights to the best wing sauces in America. The competition includes eight different categories of wing styles including traditional medium, hot and extra-hot as well as creative, traditional BBQ, creative BBQ, creative sweet and creative spicy. 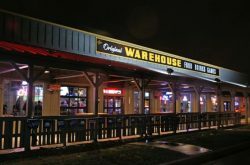 For a full line-up of participating eateries, visit BuffaloWing.com/Restaurants. Cheers! After last year’s success, the festival will welcome back local craft beers inside the Consumer’s Beverages Craft Beer Corner. Local craft brewers including Resurgence Brewing Co., Big Ditch Brewing Company, Flying Bison Brewing Company and Community Beer Works will be pouring more than 15 different styles of beer all weekend. Better yet, brewery representatives will be on hand to talk about craft beer and wing pairings. One of the annual highlights of the festival weekend is the United States Chicken Wing Eating Championship presented by Atwal Eye Care. This popular event, sanctioned by the International Federation of Competitive Eating, happens Sept. 3 at 5pm. This year, the competition takes on epic proportions as top-ranked competitive eater Joey Chestnut returns to defend his title. Last year, Chestnut devoured 188 wings in 12 minutes to take the title. Crowd favorite and five-time Wingfest World Champion Sonya Thomas will be on hand to battle the field. In addition to the U.S. Chicken Wing Eating Championship, the pros compete in the Buffalo Buffet Bowl on Sept. 2 at 5:30pm. 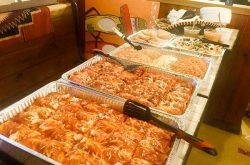 The battle challenges eaters to consume five pounds of some of Buffalo’s favorite foods including pizza and roast beef on weck. Other wing-eating competitions during the festival include the Frank’s RedHot Amateur Chicken Wing Eating Contest, Hot Wing Eating Contest with wings from “Wing’s Army”, and the College Wing Eating Competition. 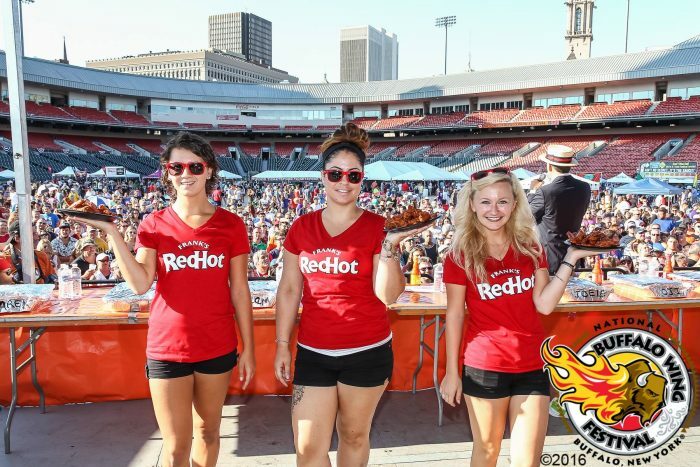 The competitions aren’t just limited to the professionals at Wingfest, as the original wing sauce, Frank’s RedHot looks to crown the top amateur wing-cooks in the Traditional Wing Sauce-off and Creative Wing Sauce-off. In addition, the festival will present a collection of pageants including the Miss Buffalo Wing Pageant (women 18+ years) and the Baby Wing Contest (children 0-4 years). Festivalgoers can compete in (or watch) the famous Bobbing for Wings competition in which participants dunk their heads into kiddie pools filled with blue cheese dressing to retrieve as many of the 100 chicken wings as possible within three minutes using only their mouths. This year’s entertainment lineup includes master of ceremonies “Quiz Master” Dennis George, as well as one of Buffalo’s favorite blues bands, The Heavenly Chillbillies who’ll liven up the festival with blues music throughout the weekend. Admission is $5. Children eight years and younger are free, courtesy of KeyBank. The festival benefits Alzheimer’s Association Western New York Chapter, Food Bank of WNY and Meals on Wheels for Western New York Inc. The festival has raised more than $350,000 since its inception in 2002. The festival is made possible thanks to Frank’s RedHot, Marie’s Blue Cheese, Tri-Fri Oil, Northtown Toyota, KeyBank, Atwal Eye Care US Foods, Barefoot Wines and Yuengling Beer. To learn more, visit BuffaloWing.com or follow along at facebook.com/BuffaloWingFestival, @WingFest, instagram.com/buffalowingfestival, and by using the hashtag #WingFest17.